Jenni Kayne is the American designer, entrepreneur and mother of three whose business spans the worlds of fashion, home design and entertaining, with six retail locations, an e-commerce site, and the lifestyle blog Rip & Tan. Inspired by organic textures, thoughtful simplicity, and natural landscapes, Jenni Kayne has become an all-encompassing lifestyle brand rooted in California minimalism with a national cult-following and celebrity fans such as Jessica Alba, Kristen Bell, and Gwyneth Paltrow. 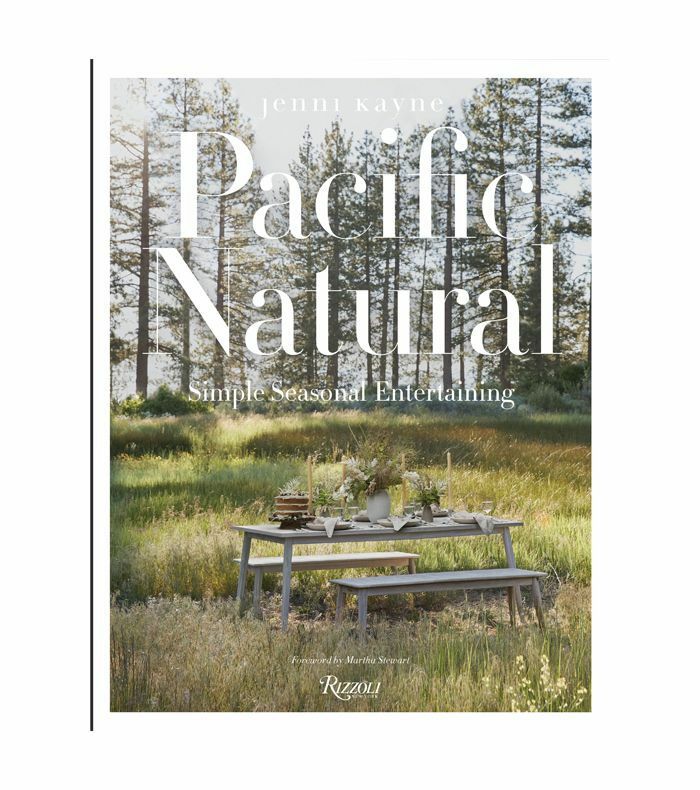 Kayne just launched her first book, Pacific Natural which offers seasonally inspired practical tips and creative ideas for entertaining and living well. Read on for an exclusive excerpt from the book in which she shares how to create a spring-themed rosemary tablescape. Earthy and bright, rosemary acts as both ingredient and ornament. This herb is truly one of my favorites, for the way it affects the senses with its savory taste and powerful fragrance and its versatility. It's beautiful both on the table and on the plate. I am always inspired by the landscape around me and I love to make the most of the plants growing in my garden. Aromatic and evergreen, rosemary infuses every detail of this dinner, from the lush, effortlessly undone centerpieces, to the sprigs tied to linen napkins, to the light bites and thoughtful parting gifts. Use herbs from the garden as an arrangement to complement the herbs in your meal. Sheepskins over benches or chairs are cozy and textural, and add a little comfort for your guests. Mini baguettes make a great table setting. Wrap some twine and fabric around each loaf and attach place cards. Seating arrangements aren't meant to be confining, they are simply a way to facilitate conversation and introduce people to one another. Play with varying heights of tapered candles to add a bit of dimension to the table. Instead of playing bartender all night, encourage guests to mix their own beverages. Offer them their first drink and then lead them to the cocktail table, set up with ingredients and instructions. Up Next: I Don't Love to Cook—But I'm Pre-Ordering These New Spring Cookbooks.